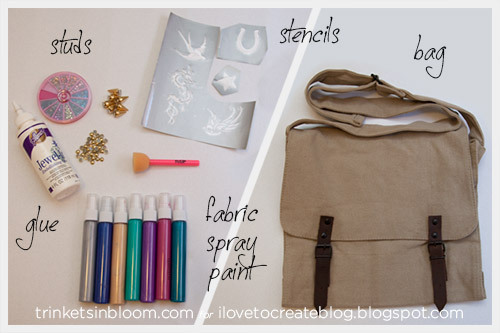 Add a personal touch to a plain canvas bag, using stencils, fabric markers and fabric spray paints to create a cool personalized Messenger Bag DIY. 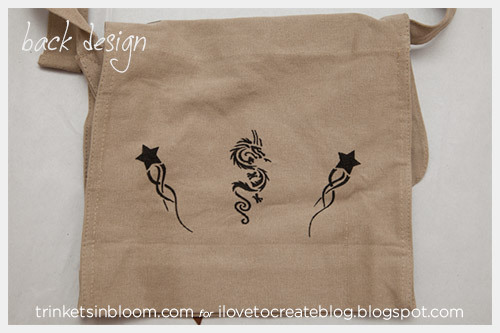 I used the Tulip Body Art Stencils to create tattoo inspired designs on this bag, by filling them in with fabric markers. 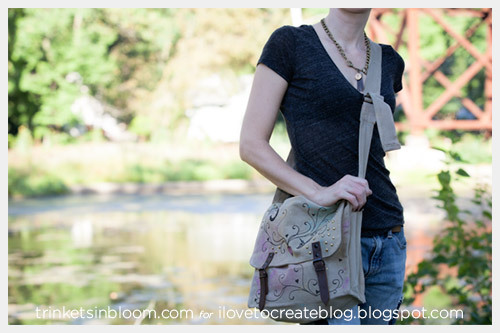 This is a really cool and simple way to create designs and patterns quickly and easily. 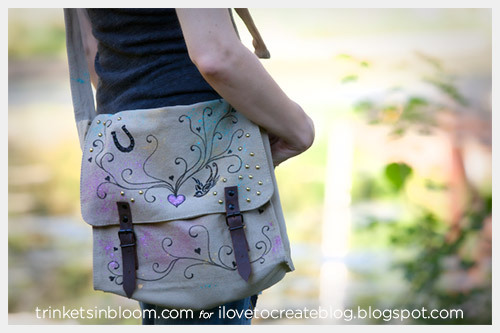 Layout your bag and decide how you want to embellish it. 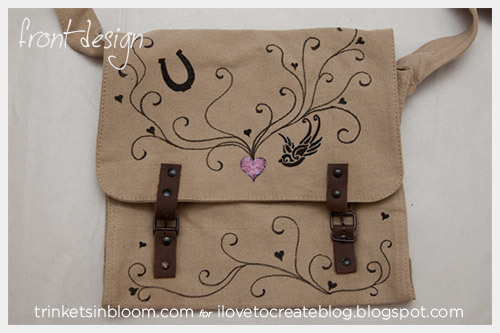 I used the Tulip Body Art Stencils and the Tulip Fabric Markers to create cool stencil designs on my bag. 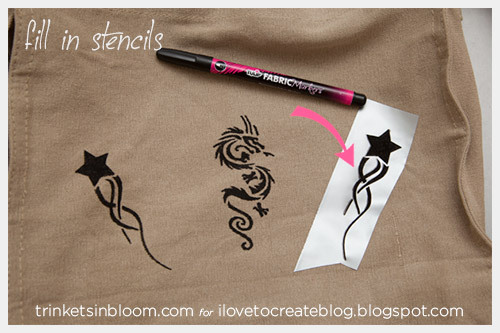 Place the stencil, sticky side down on your bag and use your fabric markers to color in your stencil. 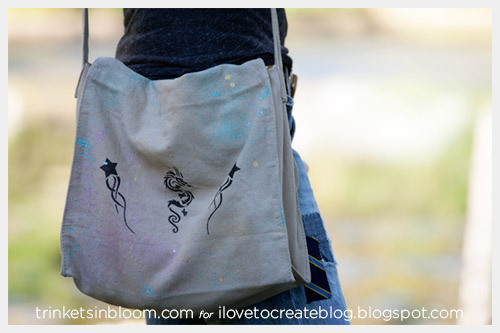 These stencils work great for this, because they are sticky they stay in place on your bag and create a really clean design. I used the fabric markers to draw some freehand scrolls and hearts to connect the stencil designs. Cover the hardware on your bag before you start to spray paint. 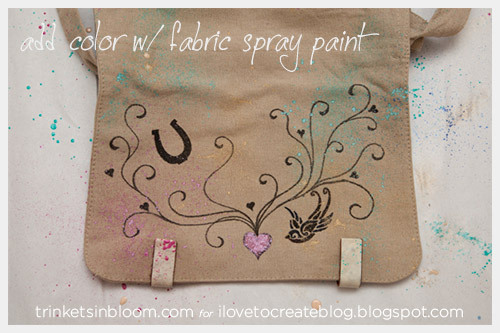 Using your fabric spray paint, mix up your colors and add paint splatters to your bag. Let it spray on to the handle as well to give it an accidental look. 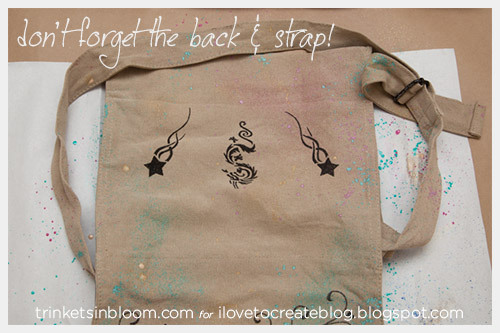 If you want to you can also spray a design through the stencils. 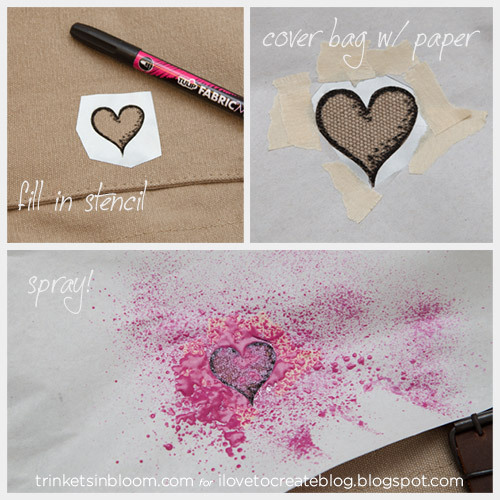 Mix up the fabric spray paint and the fabric markers for a graffiti look. 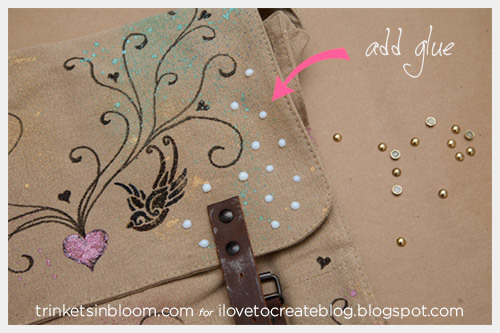 Adding your studs and nail heads is really easy with the jewel-it glue. 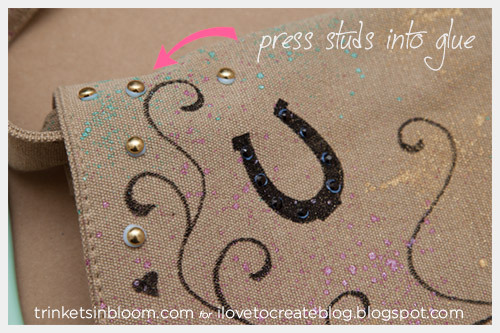 Place a small drop of glue on the bag where you want your studs to be. Since the studs and nail heads are metal, you’ll want to wait a few minutes before pressing them into the glue. 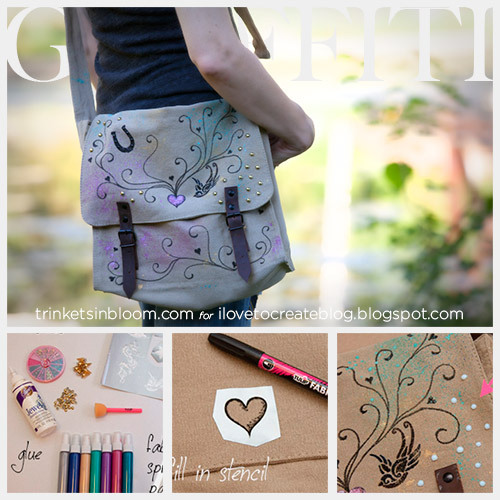 To see more fun and fashionable DIY’s check out my blog Trinkets in Bloom! membaca ini Situs besar! Saya mencintai itu! Akan Kemudian Kembali Untuk Baca Beberapa lagi. Saya Mengambil feed Anda Juga!